Since the Supernatural Chicago Convention 2016 is just less than two days away, I thought, huh, better get last year’s convention experience written. It is just exactly the distraction that I need in order to ignore the packing and the preparations I still have to do because, haha, who needs a stress-free last-minute-running-around-my-room-like-a-headless-chicken-and-just-shoving-everything-into-my-luggage? Certainly not me. 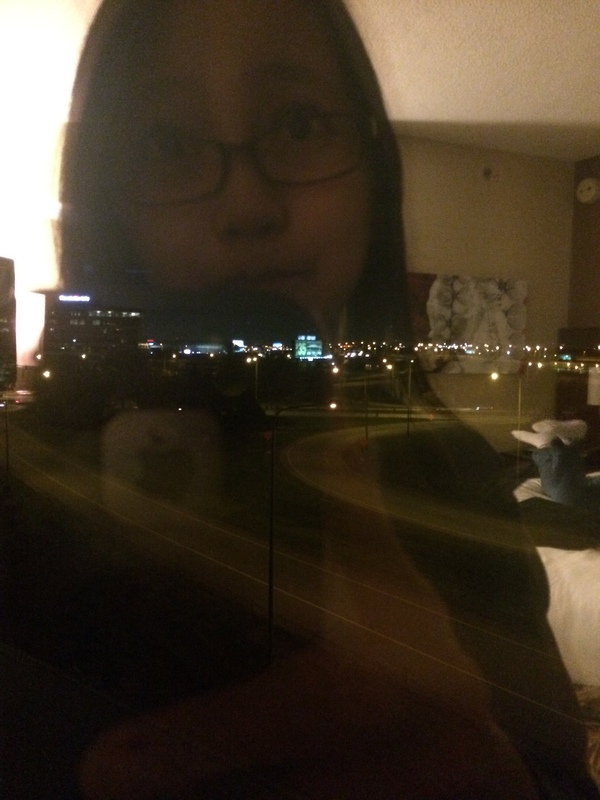 ChiCon 2015 was a different experience from the year before. One, because I actually had an inkling on what to do instead of whipping my head around with my mouth open in awe. Two, because I had a Gold ticket that gave me access to a closer seat, an automatic admission to the Saturday Night Concert event, and a chance to get some of the actors’/actresses’ autographs and exchange some friendly greeting with them. It was also surprisingly emotional for me, as I facilitated between deliriously happy at the convention and trying not to be conspicuously upset at some personal stuff going on with me. But we’re not going to talk about that. My view from our hotel room. I complain a lot about this blog being virtually useless because nothing ever exciting happens in my life, and yet I forget to blog about the most exciting thing that happened to me in 2014? Save it, SB. To be fair, I liveblogged the whole thing in my Tumblr account and spammed my poor meager amount of followers with blurry pictures and wailing, but since I’m never ever [ever] going to reveal my tumblr URL where people who know me in real life might find it, I’m going to make a separate post to share here. As you may or may not know, I’m a huge fan of Supernatural. And one of the best things about it is that the show does several conventions every year in different locations. They do one in Chicago every year, and I’ve been wanting to attend one since 2012. Well, back in October of last year, I finally saved up enough money and snagged myself some tickets. It was the greatest thing that ever happened in my life so far.